If you’re looking for cheap accommodation in Torremolinos, on Spain’s Costa Del Sol, then the Buensol Apartments are worth a look. I did a search on sunshine.co.uk for a seven night stay from 20 November 2011 and the price was £136 for a one bedroom apartment for two guests (price correct on 4th August 2011). That’s only £68 per person, less than £10 a night. We stayed at the Buensol for 2 nights a couple of years ago. One of the attractions for me, apart from the low price, was the fact that it offered free wifi in the lobby. The free wifi was very good, much better than some hotels where you have to pay for it. The accommodation was pretty basic and old fashioned, but we found it be clean and functional. Our balcony had a pool and sea view. There was a Spar shop next to the hotel. 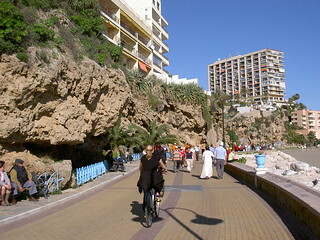 Just down from the hotel is the prom which runs for miles along the beach front. It was great to have a traffic free walk so close by. There are loads of restaurants, cafe and bars lining the prom. We had a hire car and were able to find free on-street parking close to the hotel, but we were there in low season. 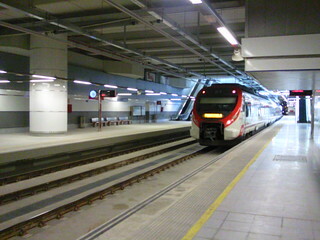 However, it’s also quite easy to get to the hotel from Malaga Airport by train. 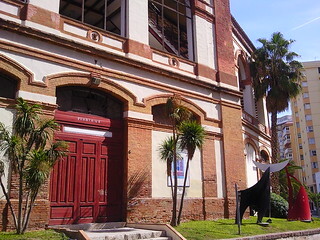 You get off the train at El Pinellio station, which is the second stop after Torremolinos. It would take around 20 minutes to walk down to the hotel, but if you have a lot of luggage you could take a taxi. If you want to do some short day trips from the Buensol Apartments, you can either take the train into Malaga city centre, or further down the coast to Fuengirola.